Yes, New Mexico is an arid climate known for its high plains and desert regions, but you can spend some time on any number of beautiful lakes and rivers scattered about the state. And, you don’t have to bring along a water craft—you can rent one at these awesome boat rental companies. Here are our favorites. This enormous reservoir, fed by the San Juan River, is a boater’s paradise. The Marina is fully-stocked with boats of all shapes and sizes, interests and needs. There are Sea-Doos, party barges, ski boats, pontoon boats, aqua lodges, houseboats, catamarans and bass boats for the fishermen in the group. Rates are by the hour or half and full day. Add on a tube or tow harness for some extra fun. Elephant Butte Reservoir is the largest in the state and at 40 miles long with 200 miles of shoreline to explore renting a boat makes it easy to see big chunks of it. Choices here include wake ski boats and multiple sizes of party pontoon boats for groups. This full-service marina has been sending people out onto the water for more than 20 years—customer service and safety are their priorities. Open seasonally, March to October. Across the water from Navajo Lake Marina is this boat rental spot. An icon of the lake for more than 30 years, it offers pontoon boat rentals by the hour, half or full day. The boats carry up to 10 water lovers and come with a cooler, ski towbar, bimini top, plus a AM/FM radio, CD play and MP3 adapter so you can listen to your favorite tunes. Rent for a week and get 10 percent off the price. Open April to October. Located on the north end of the lake, a neighbor to Sports Adventure, the entire lake is open and accessible from this spot. Rentals include pontoon boats, a great way to cruise the lake, pull some toys or fish. There are also Aqua Lodges, great for camping on the water, and accessible by a pontoon boat that comes with the package. The party barge is just what it sounds like, complete with swim ladder, picnic table and barbecue grill. Also on hand are paddle boards and kayaks. This outfit is not about speed, it’s about enjoying the peacefulness of being on the water, the Rio Grande River specifically. You can rent a kayak from a single sit-on-top type to a larger day tripper for two. Canoes come in a variety of sizes that suit different types of experiences from floating gently down the river or riding the whitewater. Both types of boats come with all the gear you need to have a successful time. This resort is located on the shores of Lake Mescalero, the largest cold-water reservoir and recreation area managed by the Mescalero Apache Tribe in the south-central part of the state. 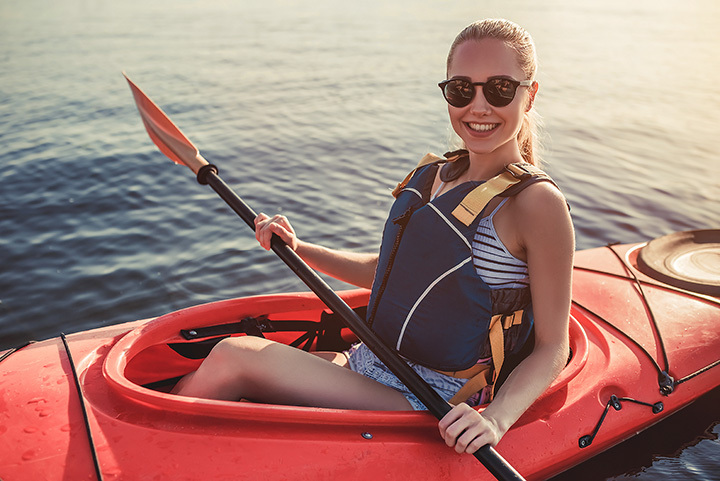 There are a number of ways to enjoy being on the water: rent a row boat with or without a motor or a single or double kayak. Experiencing the peace and tranquility of the area is at its best as you glide along the water. Another great place to rent boats for exploring Elephant Butte Lake located mid-lake and a great jumping off point for heading either north or south on the water. There are two different varieties of pontoon boats for rent. The Beachcomber is just right for small groups planning a day on the lake. Also available is a pontoon ski boat that has plenty of room for the entire family to try their hand and water skiing; it’s fast and comfortable.